"In my fine art, my aspiration is to create paintings that are evocative and mysterious as opposed to representational. These images are inspired by the real world, exploring subjects such as nature, technology, and the workings of the human mind. They are emotional, philosophical and conceptual in interpretation. In my work as a professional biomedical artist, I elucidate what can't be seen. In a philosophical sense, this is my goal as a fine artist as well. Art has the power to transport us back to a child-like state of wonder and curiosity, engaging us in an experience that transcends science. 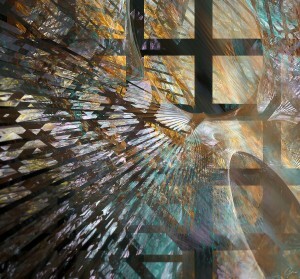 To awaken a sense of wonder through art seems a singularly worthy aspiration." 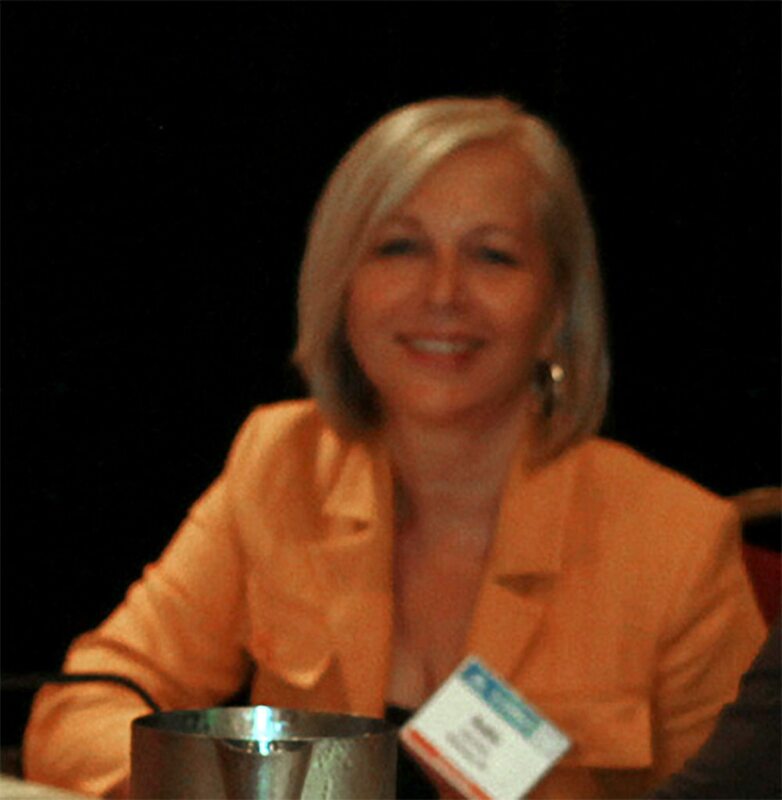 GHP's work was again the central focus of a global pharmaceutical exhibit booth, this time at the American College of Rheumatology conference in Washington D.C this November, 2012. A new 3D animated GHP video entitled Cytokines In and Out of Balance, and 3 new illustrated exhibit panels by Audra Geras were prominently displayed. Audra's illustrations depicted the pathophysiology of rheumatoid arthritis, ankylosing spondylitis, and psoriatic arthritis. The visuals were very favourably received, and Audra herself was able to attend the conference on the client's invitation in order to see the work 'in action'. 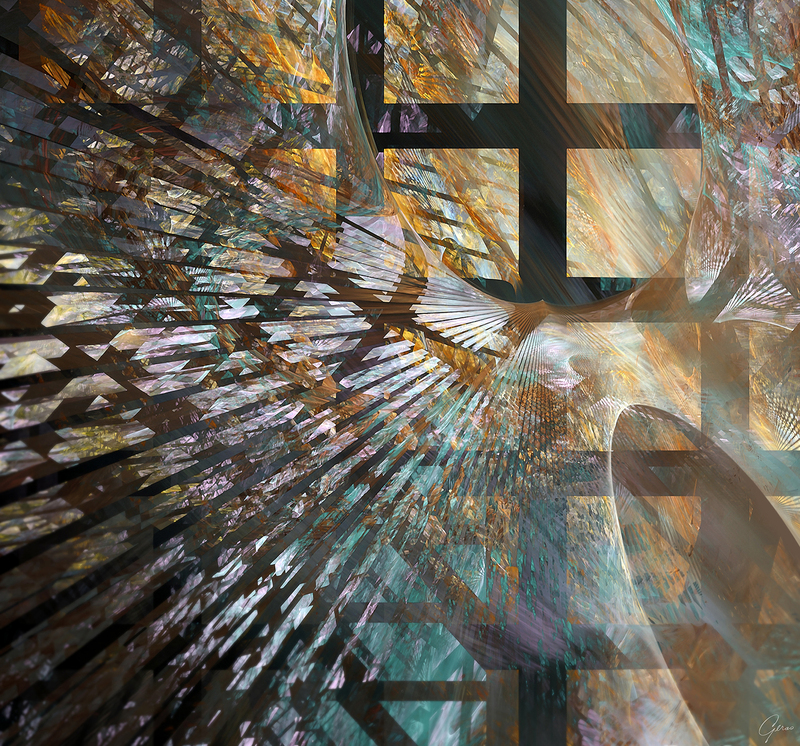 The large format mural painting shown below depicts the key events in the pathogenesis of rheumatoid arthritis as seen in a cross-section through a synovial joint. GHP's 3D animated video Interleukin-17A in Disease was again featured in a global pharmaceutical company's exhibit booth, this time at the EADV conference in Prague, September, 2012. Audra also created 3 new illustrated exhibit panels on the subject of Interleukin-17A and its role in disease for the exhibit. 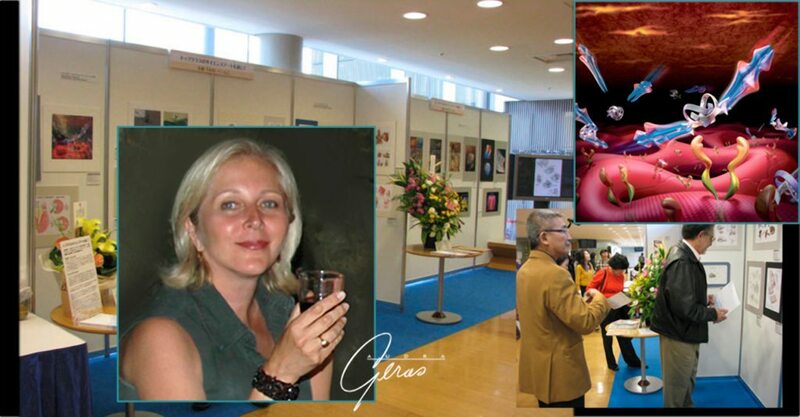 GHP's work was prominently exhibited at the EULAR Congress in Berlin. 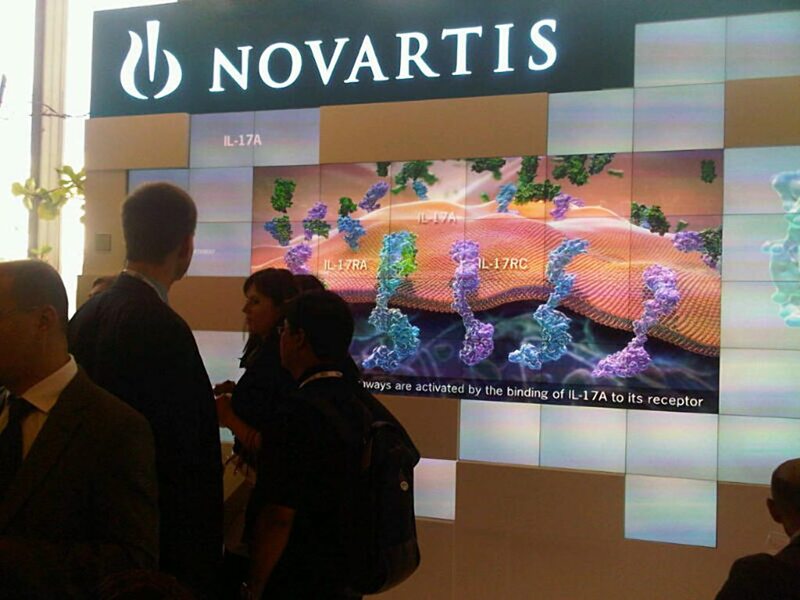 The 3D animated video entitled Interleukin-17A in Disease, produced by GHP, along with six 48" illustrated exhibit panels, provided the primary visual focus for a global pharmaceutical giant's beautiful booth. The exhibit panels depicted the role of IL-17A in the pathophysiology of immune-mediated diseases. 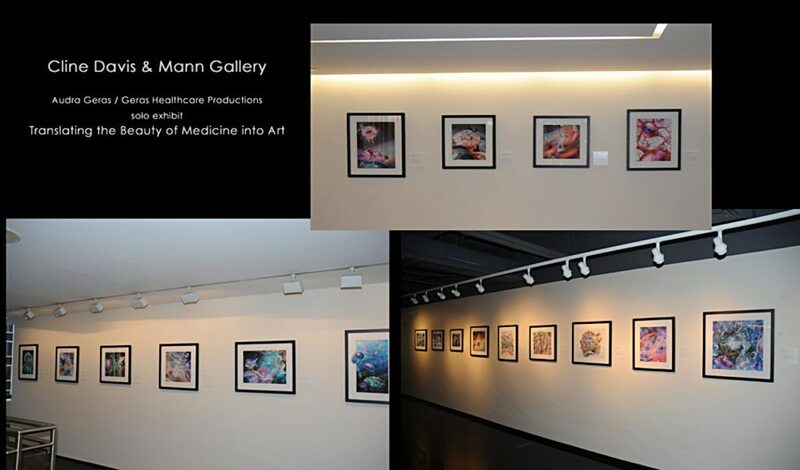 A collection of 28 of Audra’s biomedical paintings will be on display at a solo exhibit at the gallery of Cline Davis Mann, New York, 220 East 42nd Street. The collection had recently been on display at Pfizer World Headquarters Art Gallery, New York, for a period of 6 months where it received wonderful reviews.
" Using our knowledge and communication skills we teach and enlighten, but it is our artistry, creativity and our sensibility to the aesthetic that paradoxically makes the radiant mystery of science even more apparent. It is the greatest tool for "deepening the mystery" and promoting understanding in the larger sense, an understanding of what remains beyond our understanding." " The future will require people who think the way we do, people with multidisciplinary, creative and problem-solving minds, people who can help bridge the gap between art and science and whose work often means the difference between ignorance and understanding." 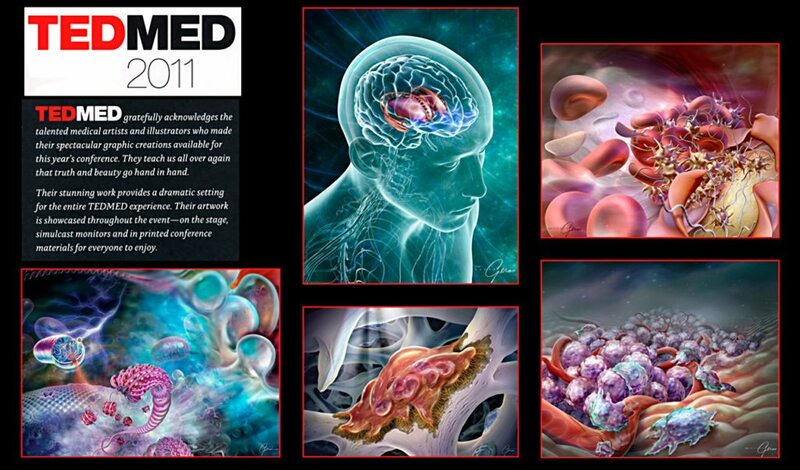 5 of Audra’s biomedical paintings have been selected for inclusion in an exhibit of Biomedical Art at the TEDMED conference in San Diego Oct. 25-28, 2011 exploring the cutting edge of health and medicine. Over 100 artists submitted a maximum of 5 paintings for consideration, and the work of 20 finalists was selected for the prestigious exhibit. We are very excited that all 5 of Audra’s submissions have been accepted for the show which will be on view to some of the best minds in science and medicine world-wide. We are pleased to announce that the artwork of Audra Geras was selected for this year’s Science Agora exhibit of medical art in Tokyo, Japan. The exhibit took place at the Tokyo Academic Park. 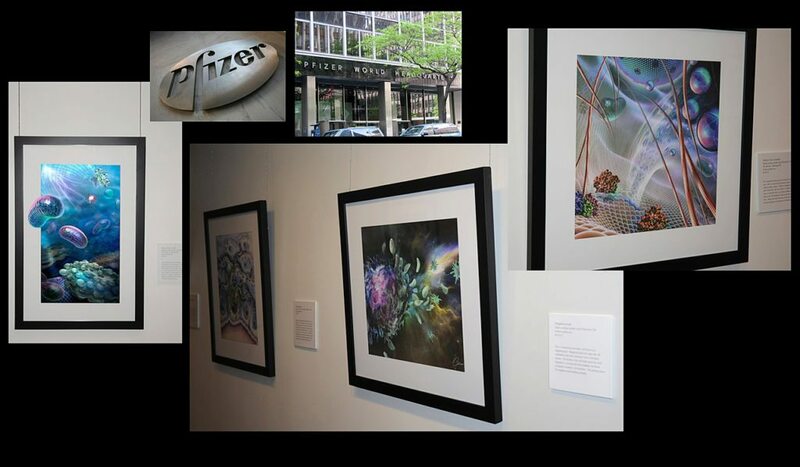 Geras Healthcare Productions is very proud to announce a solo exhibit by Audra Geras entitled Translating the Beauty of Medicine into Art at the Pfizer World Headquarters Art Gallery in New York. The exhibit will be on display for 6 months, from March 30 to to Sept. 30, 2011, and will feature 28 of Audra’s outstanding science-inspired paintings. The medical imagery of Audra Geras has once again been recognized with four ‘Awards of Excellence’ in the prestigious Rx Club annual juried competition for the best international work in print, electronic media and video in the service of healthcare. The awards were given to Audra for her biomedical paintings entitled: Nevo Sirolimus-eluting Coronary Stent – Cordis, Penetration of Cytotoxic Agents into the Cell – Abbott, Perforin Mode of Action – Trillium Therapeutics, and Photodynamic Therapy for Prostate Cancer – Steba. The paintings will be on exhibit in the 2010 Rx Club Show at the Metropolitan Pavillion, New York, opening on Nov. 11.